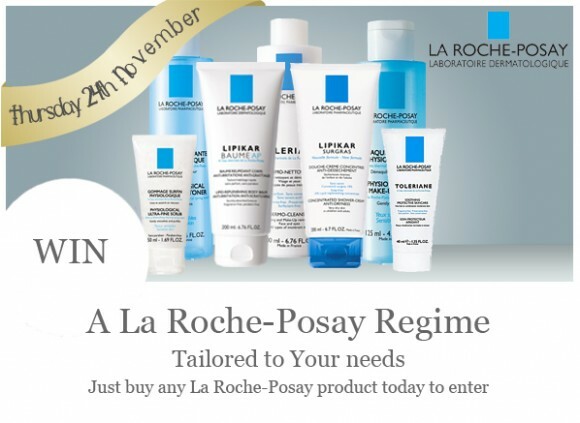 Win a full regime of La Roche-Posay Skincare products. Simply buy any La Roche-Posay product today to be in with a chance to win. La Roche-Posay is a skincare brand that marries the purity of La Roche-Posay Thermal Spring Water with the latest dermatological advancements. Products contain as few active ingredients as possible, and are instead optimally concentrated for a more effective and intensive skincare experience. The range includes products for all skin types and complaints. From Rosaliac for skin prone to redness, to Effaclar for oily skin, to Hydraphase for dehydrated skin, each and every range is created with strict adherence to the pharmaceutical code of ethics. The prize winner will receive a tailored regime of La Roche-Posay products to suit their individual skin type. Discover the entire La Roche-Posay range here at Escentual.com. For today only buy any product, and then cross your fingers and your toes and hope that you’re the lucky winner when they’re revealed tomorrow! This entry was posted on Thursday, November 24th, 2011 at 8:00 am and is filed under Christmas, Gifts, Offers. You can follow any responses to this entry through the RSS 2.0 feed. You can skip to the end and leave a response. Pinging is currently not allowed.